I got an email the other day that you may be able to help me answer. Joe is trying to collect a list of CO's for each of the 41 for Freedom. He has an incomplete list for SSBN 627 but here's what he has. Can you help fill in the blanks? Here is the list of USS James Madison SSBN-627 CO's that I have. CDR Raleigh B Miller Jr 9/10/68-??? CAPT Frank H Mallen 5/79-??? 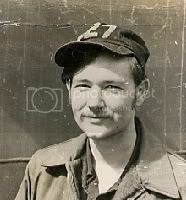 CDR James D Kearney 7/28/64-??? CDR Lawrence E Miller 1/30/82-??? CDR Robert D Rish 11/87-??? CDR William R Adams 9/90-??? As you can see I am missing quite a few and I would appreciate any additions or corrections that you can give me. Frank Mallen was CO for the combined crews during the refueling/D5 conversion is why he shows on both lists. I imagine there is another combined period for the earlier overhaul also. Any help? hay this is bill burger i was on blue crew 75 to 79 commander B C felt was the commander when i came on in 75 until 77 then it was Larry vogt. I was on the gold crew from 82 - 86, I remember this cat named Weed, (a real hardass), we called him Smokey D. He was relieved by CDR Krupnick, but I don't remember the dates. Board Admin wrote: I got an email the other day that you may be able to help me answer. Joe is trying to collect a list of CO's for each of the 41 for Freedom. He has an incomplete list for SSBN 627 but here's what he has. Can you help fill in the blanks? My father is Lawrence E Miller. I am sure he would be happy to pass along his years of service on the Madison and fill in any blanks that he is aware of. His email is Lemillerla@aol.com. I am sure he would like to help if you contact him. CDR Percy M. Beard must have been the temporay off-crew CO that filled in between CDR Bruce C. Felt who left immediately after a patrol's end and CDR Larry G. Vogt who was the captain for the next patrol. The temporary off - crew co never went on patrol with us. Bruce Felt was the Blue Captain When I came aboard in July 1975.
homer wrote: hay this is bill burger i was on blue crew 75 to 79 commander B C felt was the commander when i came on in 75 until 77 then it was Larry vogt. Rachelcharleston wrote: My father is Lawrence E Miller. I am sure he would be happy to pass along his years of service on the Madison and fill in any blanks that he is aware of. His email is Lemillerla@aol.com. I am sure he would like to help if you contact him. Ok Ms. Miller (and everyone else), a little late but what the heck. Yesterday, just to see, I sent an email to your dad using the address above. Guess what folks- he's still there! Yep, Lawrence Miller, CO Gold crew, early 80's. He thanked me for the link to here and I hope he'll maybe join and post. I'm sure he may be able to fill in a gap or two and maybe share a story or two. duck wrote: I was on the gold crew from 82 - 86, I remember this cat named Weed, (a real hardass), we called him Smokey D. He was relieved by CDR Krupnick, but I don't remember the dates. I don't recall calling him anything, but "Sir", because IIRC, I had to apologize for having pumped San 2 without the EEOW's permission. ERLL wasn't doing anything for a loss of RPFW drill... I was the EO... after the third call from the COW and the claim that berthing was getting wet... Anyway, I stepped in to his stateroom as ordered and stated that I screwed up; he nodded and said, "dismissed". I thought that was fine. He was the first skipper I thought looked at home in his poopy suit.